Light Space & Time Online Art Gallery is pleased to announce that its April 2013 art exhibition is now posted on their website and is ready to view online. 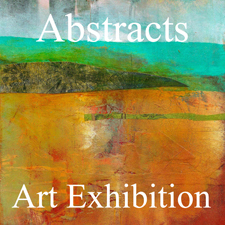 The theme for this art exhibition is “Abstracts” and artists were asked to submit their best non-representational abstract art for the gallery’s March art competition. An art competition was held in March 2013 which determined and judged the art for this exhibition. The gallery received submissions from 26 different countries from around the world and they also received entries from 39 different states and the US Virgin Islands. Overall, there were 970 entries were judged for this art competition.